Exponential Bet is a series of betting systems and strategies run by a guy called Ryan Phillips who is a professional gambler. We previously reviewed another of Exponential Bet’s systems, their Dutch Betting System which delivered excellent results over the course of more than a year we followed it for and received a passed rating. This review looked at their In-Play Betting System, which is essentially a system for betting on the horses in-play on Betfair. It was in beta-testing mode for our trial. It is recommended to use a bot to operate the system – any of Fairbot, BF Bot Manager or Bet Engine can be used. We used Bet Engine for the review and found it to work fairly smoothly. During the review period the option of making the system fully automated rather than having to find the potential qualifying races yourself was added, which was also helpful. The recommended approach is to follow a “stop at a profit” strategy, whereby once you have reached a target profit for the day, you stop and don’t place any more bets. If the target profit isn’t hit then you continue through eligible races until the end of the day. This can all be programmed into the bot. At the end of our three month trial we finished with a profit to 341 points to 10 point stakes (or 34 points to 1 point stakes), which represented a 34% growth of the bank. So overall the system performed very well during our trial and we are happy to award it a PASSED rating. At first it can seem quite complicated and that there is a lot to take in, but once you have got the hang of it and everything is set up, you can just let the bot run and do its thing which is great. Ryan’s customer service is also first class and we found him very helpful in dealing with any queries or issues we had. The only small point to note is that sometimes there were different results reported by members as liquidity means some bets may not have been matched by everyone, but we believe those issues were ironed out and any discrepancies should even out over the long run anyway. Anyway, all in all we were impressed with the system, which operates solely on Betfair and doesn’t need any use of the bookies. We look forward to its general release following the beta testing. Ease of use: As mentioned above, it can seem quite complicated at first and there is a bit of work to do in terms of setting everything up, but once you have done that you can just let the bot run and do its thing. We recommend using a bot because finding the selections yourself and monitoring all the races manually would be very time-consuming. Availability of prices: As also mentioned above, there were some small discrepancies in matching the bets on occasion but we understand these have been ironed out and would not affect the overall results to any significant degree anyway. Strike rate: The strike rate for the trial was 56%, which is very good and meant drawdowns were minimal. Advised Betting Bank: A 1000 point betting bank is advised for following the service (i.e. on the basis of 10-point stakes per bet), which seems a sensible and appropriate level to us to cope with any losing runs. Subscription costs: The costs are currently a one-off fee of £74.99 to purchase the system, which includes all the set up instructions so you can operate it on an ongoing basis. This is the second of Exponential Bet’s betting systems we have tested and also the second one we have given a PASSED rating to, with a profit of 341 points made during our three month trial. The system can be operated via a bot on Betfair, which although takes a little bit of effort to set up will save a lot of time in the long run and means the system can be operated on auto-pilot. The name of all Ryan’s systems is to steadily build a bank over the long term and we can certainly see that being done with this excellent In-Play Betting System. Exponential Bet’s In-Play Betting System continues to churn out the profits, with another 16 points profit made since our last update. That means they are now 304 points up for our trial overall to 10 point stakes (or 30.4 points up to one point stakes). With the addition of automated betting via a bot this is running nicely and looking like a top system from what we have seen so far. Let’s hope the strong results continue. It’s been an excellent start to our trial of Exponential Bet’s In-Play Betting System, with a profit of 188 points made so far to 10 point stakes (or 18.8 points to 1 point stakes). This is an approach that lays horses in running that fit certain criteria. There are a few things to note about the system – firstly, for practical purposes you will need a betting bot like the Bet Engine or Fairbot to run it. Secondly, it is a “stop at a target profit” staking system, so you stop either when you have made at least 1 point profit (or £10 in our case) or you run out of races for the day. Thirdly up until now you have to had to manually select which races the bot should operate in for the day, but they have been working on automating this and it looks just about ready (for the Bet Engine at least), which is good. So far this has been running well and delivering steady profits and with the addition of automating the process it’s looking like a top notch betting product. We recently posted a one-year update on our review of Exponential Bet’s Dutch Betting System and gave it a continued passed rating after a strong performance over the last 12 months. The Exponential Bet platform is run by a guy called Ryan who is a professional gambler himself and we have been impressed by both the profitability of Exponential Bet’s various systems and Ryan’s honesty and transparency. So today we are starting a review of one of Exponential Bet’s other services, namely their In-Play Betting System. The results of this system so far look extremely impressive, with over £640 profit made to just £10 stakes since March of this year. That has been achieved with a 56% strike rate, so the majority of selections have been winners and the losing runs have been minimal so far. Essentially the system is for betting on the horses in-play. It is recommended you use a bot to operate the system – any of Fairbot, BF Bot Manager or Bet Engine can be used. Personally we are using Bet Engine for the review because we are familiar with it and can be programmed to be “set and forget” for this system. There is a list of selection criteria you need to go through each day to see which races qualify. Then you tell the bot which of the races to operate in and let it do its thing. This process may be automated in future so you don’t need to find the races, but for now you do. It is worth pointing out that the system is currently in beta mode for testing purposes. Given the outstanding results achieved to date though we can’t see it being too long before it goes from beta into being officially launched. In any event the good news is that you can still get access to the beta mode for a 25% discount at the moment so you don’t miss out on the excellent performance of the system. Anyway, without further ado we will kick off the review and will report back here soon how things are going. In the meantime you can check out Exponential Bet’s In-Play Betting System here. Whilst we are normally sceptical of such claims about people able to supposedly receive “inside info” from stables and trainers, the results coming into our trial looked promising and Punthub are a reputable platform so we were willing to give it a try and conduct a live trial. There isn’t much detail given about how they receive information, who it’s from etc, but judging by the results of our trial it does seem to work. After an extended six month trial to give us enough bets to judge the service properly, it amassed a very nice 59 points profit at advised prices. That was achieved with a very healthy return on investment of 26% and a solid strike rate of 40% (including placed horses). Indeed. six of the seven months we followed the service were profitable, which is an excellent level of consistency. It’s also a really easy service to follow with just one bet per day so will suit those who don’t have time to place numerous bets all in one go. The results at Betfair SP were also good, with a profit of 48 points being made over the trial. All in all then there is a lot to like about Trackside and this is a clear PASSED rating from us. Ease of use: As mentioned above it is a very simple service to use with just one bet per day on average. Tips are normally sent out the morning of racing, with times varying from 9am to around noon most days. Although this doesn’t give you as much time to put the bets on compared to some other services, it does mean prices are more stable by that time so should be more achievable. Availability of prices: As we say, with bets sent out in the morning prices are stable and generally achievable. The Betfair SP results stacked up well against the advised price results. Strike rate: The strike rate for the trial was 40% (including placed horses), which is good for a horse racing service and meant there are a good proportion of bets giving some kind of return. Advised Betting Bank: No betting bank is advised for following the service but we used a 100 point bank, which seemed reasonable to us given the historical performance of the service and was never in jeopardy at all during our trial. Subscription costs: The subscription costs are reasonable at £17.50 for the first month then £35 per month or £85 per quarter. Trackside is a horse racing service that ticks just about all the boxes you could ask for: profitable, a good strike rate and return on investment, a very high proportion of winning months, easy to follow and at an affordable cost. We have no hesitation then in awarding it a PASSED rating after it landed 59 points profit during our trial and achieved a high level of consistency. Maybe there is finally a service that has genuinely found useful information from the track. Either way this one looks top quality to us. There’s been a small drop for horse racing tipster Trackside since our last update, with 5 points lost at advised prices over the last month. But they are still well up overall, with 43 points profit made for the trial overall at advised prices. It’s a similar picture at Betfair SP too, with 5 points also lost since our last update and 35 points profit made overall. So very good stuff overall despite a small dip over the last month. Trackside continues to rack up the profits, netting another 14 points profit at advised prices since our last update just over a month ago. That means they are now 48 points up for the trial overall at advised prices. More good news is that they are also going very well at Betfair SP, with another 10 points profit made since our last update and 40 points profit made for the trial overall. So the approach of getting inside info from contacts at the track appears to be paying dividends for this horse racing tipster. Not much change for Trackside since our last update at the end of April, with just 1 point lost at advised prices. That means we are now 34 points up for the trial overall at advised prices. At Betfair SP they have lost 4 points since our last update and are 30 points up overall, so pretty close to the results at advised prices which is good to see. Although we have been following the tips for three months, we have only had 45 bets in that time and normally look for a minimum of 100 before concluding our reviews, so will continue monitoring the tips until we reach the 100 mark. That will allow us to give a fairer opinion of the service based on a larger sample size. Horse racing tipster Trackside has been on excellent form lately, with 20 points profit added at advised prices since our last update a couple of weeks ago. That means they are now 35 points up for the trial overall. Encouragingly, things have also progressed well at Betfair SP, with another 25 points profit added and 34 points profit made overall. So very little difference between the advised prices and BSP so far, which is good to see. It’s a nice simple service to follow too with a low bet volume of just a few bets per week, so a lot to like about it from what we’ve seen to date. Not much change for horse racing tipster Trackside since our last update, with just 2 points profit added at advised prices since our last update. That means they are now a very respectable 15 points up at advised prices for the trial so far. At Betfair SP there’s hasn’t been much of a change either, with 1 point lost since our last update and 9 points profit made overall. This is a pretty selective service, with just a few bets per week but from what we have seen so far it is an approach that works very well. Well Trackside couldn’t keep up its record of winning every bet, but of course that was never going to happen anyway. More relevantly, they have continued to generate a profit, with another 5 points profit added at advised prices since our last update, putting them on 13 points profit for the trial overall. At Betfair SP more profits have also been added, with another 2 points profit made since our last update and 10 points profit amassed overall. This is very selective betting, with only 12 bets placed so far after more than a month of following the tips. A selective approach like this will be to some people’s tastes, although others may prefer more betting action, it is really just a question of your own preferences. However what really matters is always how much profit is being made and on that front it is so far so good from Trackside. It’s been a good start to our trial of horse racing tipster Trackside, with all of the bets so far having won! Granted it has only been just over a week, but still it is good to see a trial start off in such positive fashion. We are 8 points up so far to advised prices. At Betfair SP we are also 8 points up, so nothing between that and advised prices at the moment. Anyway, just thought we would do a quick update with the very positive start to this trial. It’s been a little while since we reviewed any services from the Punt Hub tipster stable, with Classic Racing Gold being the last tipster of theirs we reviewed back in 2016. Since then Punt Hub have added a number of impressive-looking services to their roster, so we thought it was about time we took a look at some of them. First up is a service called Trackside, which gets info “straight from the horse’s mouth” as it were. In other words, it seems like they get inside information from key contacts in the horse racing industry, although there aren’t many details on the website about where this may come from. What is more instructive is their record, which looks very good indeed. In just over a year of tipping they have amassed over 195 points profit, at an impressive return on investment of 22%. Staking is pretty sensible too, with a max of 4 points per bet, but an average of 2 points and a fair number of each-way bets which should help up the strike rate. Bets are apparently sent out on the day of racing, no later than 12.30pm, probably when they have obtained info from their contacts. We have always felt that one of surest ways to profit from horse racing would be if you could obtain reliable information from insiders. Certainly it seemed to work for professional gamblers like Patrick Veitch. Sadly though we are yet to come across a successful service that uses inside info, but hopefully Trackside will break the mould. As we always say, only time will tell. So we will kick off a three month trial today and will report back soon on how things are going. In the meantime you can check out Trackside here. Each Way Leader is a horse racing tipster that places one point each-way bets on all their selections and came into our trial with impressive results of making £370 per month profit to £10 stakes. We decided to follow it for an extended six month period to give a fuller picture of its long-term performance as we felt it had the potential to be a really top service. And having followed the tips for six months, we are pleased to say that the service has lived up to our lofty expectations and delivered a very healthy 73 points of profit. All of that, as we say, is to 1 point each-way level stakes and works out at an excellent return on investment (ROI) of 24%. Of particular note is the high strike rate of 48% (which includes placed horses), so nearly half the bets during our trial produced a return. That tends to mean shorter losing streaks and a more comfortable service to follow than those with lower strike rates. Plus it is super-easy to follow, with an average of just one bet per day. The only slight negative was the final total at Betfair SP, which came in at just 13 points profit, so quite a lot lower than the advised prices. This is perhaps not surprising because as a general rule you don’t get great value from the place part of bets on Betfair compared to the bookies. But the bottom line is you will probably need access to bookie accounts to make the most of Each Way Leader. As long as you do have bookie accounts though there is a lot to like about this service and it looks like it could become another Betting Gods superstar alongside the likes of Master Racing Tipster and Quentin Franks Racing. Ease of use: There is an average of just one bet per day, making the workload in following the tips very low indeed. Availability of prices: The prices do tend to contract between the release time and the race, so it is advisable to get the bets on quickly. Tips are normally sent out the evening before racing, at around 5-8pm (UK time). Strike rate: The strike rate for the trial was 48% including placed horses, which is a very decent hit rate for a horse racing service. Advised Betting Bank: A 150 point bank is advised for following the service, which is very reasonable and is one of the few occasions when we think it may actually be a little on the conservative side given the strike rate and staking and you could even go with a 100 point bank. However, a 150 point bank is certainly sensible and we are glad to see this given how often tipsters seem to recommend banks that are too small and overly risky. Subscription costs: The subscription costs are very reasonable at £1 for the first 10 days then £30 per month, £60 per quarter of £180 per year. There is a great deal to admire about horse racing tipster Each Way Leader – an impressive profit level of 73 points made during our trial, a high strike rate, very good return on investment and simple level staking of one point each-way on every selection. Add that to the fact it is extremely easy to follow with just one bet per day and you have the makings of a really top quality service. We believe this could go on to become one of the best tipsters out there if it can continue producing the kind of results achieved during our six month trial. So its a firm thumbs up from us and well worth adding to the portfolio based on its performance to date. Horse racing tipster Each Way Leader has been on good form lately, with 21 points profit made at advised prices since our last update a month ago. That means they are now 51 points up for our trial overall at advised prices. At Betfair SP they have also made a profit since our last update, with 8 points profit being made. However, for our trial overall at Betfair SP they are 1 point down, so over 50 points behind the results at advised prices, which is obviously quite a big difference. On the whole though this is a very promising service if you have access to bookmaker accounts and is super-easy to follow. A small loss for the Each Way Leader over the last few weeks, with 7 points lost at advised prices since our last update at the end of April. However, they are still up for the trial overall at advised prices, 30 points up in fact. At Betfair SP the story isn’t quite as positive, with 14 points lost since our last update, putting the BSP total for the trial so far at minus 9 points. This trial started off very strongly so we are hoping they can turn things around and get back to winning ways very shortly. Anyway, we will be back soon with more updates. There has been a small retraction for horse racing tipster Each Way Leader since our last update a month ago, with 12 points lost in that time at advised prices. That means they are now 37 points up for the trial overall at advised prices. At Betfair SP they have also experienced a decline, with 15 points lost since our last update, putting them 5 points up at BSP for the trial overall. We have decided to extend this to a six month trial from the original 3 months we planned. We do think it has a lot of promise, with 37 points profit being made at advised prices but want to see whether the profitability can be maintained over the longer term. We also want to see how the Betfair SP holds up in the long run and if it’s practical to follow at BSP. So will continue to update results here regularly for the next 3 months before wrapping up our review. Horse racing tipster Each Way Leader continues to move along nicely, adding another 13 points profit at advised prices since our last update. That means they are now 49 points up at advised prices for the trial overall. At Betfair SP things are lagging somewhat, with another 8 points profit made since our last update and 20 points profit made overall. Although that is less than half the profits made at advised prices, it is still a good return to have made to 1 point each way stakes. Anyway, let’s hope they can continue delivering the steady profits going forward. Each Way Leader has bounced back since our last update, making 10 points profit over the last couple of weeks to advised prices. That means we are now 36 points up for the trial overall to advised prices. At Betfair SP we are also in profit but not quite as much, with 8 points profit made since our last update and 12 points profit made overall. There haven’t been too many bets lately with the snow here in the UK, but with the weather looking better and Cheltenham next week there should be plenty of action to look forward to. A small decline for horse racing tipster Each Way Leader since our last update, with 7 points lost at advised prices. That means we are now 26 points up at advised prices for the trial overall. At Betfair SP there has been a similar decline, with 10 points lost since our last update, putting us 4 points up for the trial overall. So despite the recent drop here we are still nicely in profit and see very good potential in Each Way Leader. It’s been an excellent start to our trial of Each Way Leader, a new horse racing tipster from the Betting Gods stable. So far after three weeks they are 33 points up at advised prices. At Betfair SP they are also in profit but not quite as much, with 14 points profit made so far. As we said in our introduction, this is a very simple service to follow, with just 1-2 bets per day, all stakes one point each-way and a good strike rate. All looking good so far then for the Each Way Leader, long may it continue. Just a few days after starting a trial of a promising each-way horse racing tipster in the form of Each Way Value Tips, we are now commencing another trial of an each-way specialist with excellent published results. Today’s trialist is called the Each Way Leader and comes from the Betting Gods tipster platform. Its results to date look very impressive, with an average of £370 profit per month to just £10 stakes. The return on investment is a superb 43% and the strike rate is solid too at over 35%. The service is run by a guy called Jim who has apparently found an edge by picking often-overlooked underdogs at big odds. One of the positive aspects to backing each-way is that it lifts the number of bets you get a return on, reducing losing streaks and meaning you don’t need as big a bank compared to if you were just backing to win on the same horses. It is also easier psychologically because you are getting a return on your bets more regularly. There is nothing more soul-destroying in betting than long losing streaks that last weeks. Some say the bookies are also more amenable to each-way bets (unless you are exploiting them in races with a very strong favourite), although we find it is very difficult to really know what goes on inside the bookies’ heads. Whatever the truth though, Each Way Leader looks like a very strong service based on the results achieved to date and could be a real find if it can carry on in the same vein. As with all Betting Gods services, you can get a trial to test out the service for just £1. Staking is very sensible with simple 1 point each-way stakes on each selection, so this is ticking pretty much all of our boxes. Anyway, we mustn’t get into the trap of building something up too much and risk setting it up for a huge fall. Let’s just kick off the trial and see how it gets on. Results will be updated here as usual and hopefully we’ll have good news to report by the time of our first update. In the meantime you can check out the Each Way Leader here. We have now been following the tips of Quentin Franks Racing for over two years, so thought it would be a good time for an update. At the time of our last update just over a year ago, we awarded Quentin a five star rating, with 284 points profit having been made in that year. Well since then, Quentin has put on the afterburners and exceeded even those exceptional levels, notching up well over 550 points profit. That means since we started proofing the tips in March 2015, the service has made over 800 points profit. You probably don’t need us to tell you that is quite incredible stuff! To just £10 stakes that would be over £8,000 profit or if you are able to stake higher at £25 per point, it would be £20,000 profit. As you can see, just an amazingly smooth and steady upward curve – exactly what every investor is looking for! Back when we updated this last year, we upgraded Quentin Franks to be our number one recommended tipster. We have absolutely no reason to change that – in fact our view of the service has only been strengthened in that time. Out of the last 21 months, an astonishing 19 have been profitable. That is a record of consistency most tipsters can only dream of. A truly brilliant service and one that has made us a rather substantial amount of money from following his tips – thank you Quentin! We are running out of superlatives to describe Quentin Franks Racing so instead we will simply say this: if you are not already a member, we strongly suggest you sign up today. It’s a decision we doubt you will regret. As it is now a year since we started proofing Quentin Franks Racing tips, we thought it would be a good time to provide an update on how things have been going. Our original three month trial concluded in June 2015 with a neutral rating and 6 points of profit accumulated. However, things have really taken off since then for Quentin. So a highly impressive 284 points profit since our trial ended nine months ago. And eight winning months out of nine – not bad either! As you can see, a mightily impressive profit graph with solid, steady growth – just what we want to see. Over the last nine months we have seen bank growth of 284% – so if you had started with a bank of £1,000 it would now be worth £3,840. Or if you had started with a bank of £10,000 it would now be worth £38,400. Overall these results have been achieved with a strike rate of 25% and a return on investment of 17%, which is very respectable indeed. With superb results since our trial ended nine months ago, we have no hesitation in upgrading Quentin Franks Racing to a passed rating. This is definitely one to subscribe to whilst you still can – there are very few tipsters out there with as consistent a record as Quentin Franks and this is the sort of service that can make you steady profits month after month. You can check out Quentin’s tips for yourself here. The third in our series of Betting Gods trials is complete. So how did Quentin Franks Racing compare to the likes of Master Racing Tipster and Big Race Bookie Busters? Well unfortunately it hasn’t done quite so well, ending up with figures of 6 points profit at advised prices and -41 points at Betfair SP. We had high hopes for Quentin as coming into this trial he had amassed over 180 points of profit and racked up nine winning months out of nine. But sadly as we see often with tipsters, it is difficult to keep up with the top form indefinitely and at some point there will be a dip. That said, making 6 points profit at advised prices is no disaster so we are not ready to write off Mr Franks just yet. As you can see, quite topsy-turvy! But actually the fluctuations weren’t that large, varying between 17 points up or down over the course of the trial. Ease of use: Fairly good – there are on average 3 bets per day which are normally sent around 9am (British time). It shouldn’t take too long to place the bets. Availability of prices: OK – prices do tend to go fairly quickly and certainly by race time you are looking at considerably lower prices. This is evidence by the big 50 point difference between the advised results and Betfair SP results. So you want to get your bets on quickly to achieve the best prices. Strike rate: The strike rate was 23% for the trial, which is close to the long-term average of 25%. Advised Betting Bank: The advised betting bank is 100 points, which seems reasonable. Staking is 1 or 2 points with the very occasional 3 point bet. Subscription costs: The subscription costs are acceptable at £1 for the first month then £39.95 per month or £99.95 per quarter. The bar has been set very high recently with the achievements of Master Racing Tipster and Big Race Bookie Busters, so perhaps we shouldn’t judge every service by their high standards. We had high expectations for Quentin Franks Racing coming into the trial and whilst he hasn’t quite delivered what we were hoping, he has not had a disaster either. Given the impressive long-term record, we will place this in the neutral category for now and see if Quentin can recapture his previous form over the coming months. Elite Betting Syndicate is a horse racing betting service that provides daily tips for UK racing. It is run by a team of betting professionals and has been running since 2009. They apparently use a combination of statistical analysis and in depth racing knowledge garnered from being race horse owners. Coming into our trial, the results looked highly impressive, with over £28,000 profit apparently made since June 2015 to £100 stakes. Often however, services fail to live up to the pre-trial billing or the results published on their website. So did the Elite Betting Syndicate cut the mustard during its live trial here at Honest Betting Reviews? Well, we are pleased to say that yes, it did perform impressively and in fact netted 32 points profit at advised prices over the course of the three month trial. At Betfair SP it made 18 points profit, which is somewhat lower than the advised price results but still pretty good. And the good news is that since our trial ended in early April, it has gone on and landed over 30 points more profit. In fact at the time of writing they have just landed three winners out of four on the day, at prices of 5/1, 4/1 and 9/2! That means they have actually made over 60 points profit since we started following the tips back in January. To one point level stakes that is extremely impressive and is a more than doubling of our 50 point starting bank. On that basis we have no hesitation in giving the Elite Betting Syndicate a RECOMMENDED rating and is one we strongly advise adding to your betting portfolio. Ease of use: There are around 3 tips per day which are sent out the night before racing, so plenty of time to get your bets on and a very manageable workload. Availability of prices: The prices do tend to move in quite considerably, which is perhaps not surprising given the popularity of the service, so having multiple bookmaker accounts open to you will certainly be an advantage. However, even at Betfair SP a good profit was still made so this should be a service everyone can follow. Strike rate: The strike rate for the trial was 33%, which is good and means there are generally a regular supply of winners. Advised Betting Bank: We used a 50 point bank for the trial which we think should be sufficient in the long run, bearing in mind staking is 1 point level stakes and with a 33% strike rate. The bank was never threatened during our trial and more than covers their worst drawdown since starting the service. Subscription costs: The subscription fees are £1 for first 10 days then £39+VAT per month. The Elite Betting Syndicate has lived up to its pre-trial billing and whilst it had a rare losing month in March, it has still managed to rack up over 60 points profit in the four months we have been following the tips. That represents over £6,000 profit to their recommended £100 staking and more than doubled our starting bank. To one point level stakes that is strong going and matches the kind of results published on their website prior to our trial. A service that is simple to follow with minimal time commitment, we have no hesitation in recommending this as a valuable addition to your betting portfolio. You can get access to the Elite Betting Syndicate for just £1 here. There has been a dramatic decline for the Elite Betting Syndicate since our last update three weeks ago. Unfortunately they have lost 33 points in that time, which is quite a significant chunk of the profits they had accumulated previously during the trial – nearly half in fact. That means they are now 37 points up for the trial overall, which is still good but not the incredible returns we had enjoyed over the first two months of the trial. At Betfair SP it is a similar story, with 35 points lost since our last update, putting them 26 points up for the trial overall. This just goes to show the importance of waiting until the end of a trial to see the final outcome before signing up to a service. Wow! The Elite Betting Syndicate just keeps banging in winners left, right and centre. Since our last update a couple of weeks ago, they have added another 21 points profit at advised prices, lifting them to 70 points up for the trial overall. At Betfair SP, things have also been very good, with 14 points of profit added since our last update and 61 points of profit made for the trial overall. This really has been superb stuff. And remember, this is at one point level staking, so making these kinds of profits in just over two months at one point stakes is quite amazing. It is looking like we have uncovered another gem here with just under a month to go in our trial. And the good news is that you can get a 7 day trial of Elite Betting Syndicate for just £1 here. We continue to be impressed with the Elite Betting Syndicate, which is having a superb trial here at Honest Betting Reviews. Since our last update, it has added another 16 points of profit at advised prices, bringing it to 49 points up for the trial overall. At Betfair SP, things have also been excellent, with another 20 points of profit made since our last update and 47 points of profit overall. It is worth repeating that stakes are all at 1 point, so to have racked up close to 50 points after just over 6 weeks is sterling stuff. Long may it continue. Things have continued in excellent fashion for horse racing tipster Elite Betting Syndicate, with 16 points of profit added at advised prices since our last update. That means they are now 33 points up at advised prices overall for the trial after one month. That is very impressive when you consider all bets are at 1 point stakes. At Betfair SP, things are also going well, with 27 points of profit made so far. We had a great day yesterday, with three winners out of three at odds of 5/1, 11/2 and 7/4. If you’d done those in a treble you would have added an additional 107 points profit! It has been a very good start to our trial of Elite Betting Syndicate, a horse racing specialist, with 17 points of profit made to advised prices after two weeks. At Betfair SP we are actually slightly ahead of advised prices, with 18 points of profit made so far. All bets are to 1pt stakes, so either 1pt win or 0.5pts e/w, which makes things nice and simple. Looking promising so far, let’s hope they can keep it up. With 2017 underway we are keen to press on with some reviews and trying to find the best betting systems for you. First up we have Elite Betting Syndicate, a group of horse racing experts who claim to offer thoroughly researched betting tips to make you consistent profits each month. 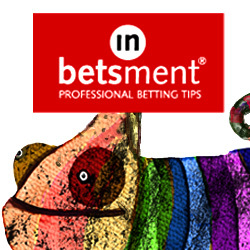 They say that they receive genuine insider information and use their stable connections to provide high quality betting advice. Now we have to say we are skeptical whenever we hear the phrase “insider information,” as we are yet to find a profitable system that claims to have access to inside info, but there is a first time for everything we suppose. The results published on the website look very impressive however, with £28,000 profit to £100 stakes since June 2015 and only one losing month so far, so we are hopeful that this could prove us wrong and be a decent system. They also include a full results spreadsheet which is encouraging so you can see the full selection history. You can get a 10-day trial for just £1 which is good, so you can check it out first before paying the full monthly subscription fee of £46.80. So without further ado, we will kick off our first new trial of 2017 and will report back shortly on how things are going. In the meantime, you can check out Elite Betting Syndicate here. Little Acorns is a low-liability laying system for use solely on Betfair (or other suitable exchange). It has been around for some years and has amassed quite a following, leading to it winning numerous awards as a top horse-racing betting system. We have just completed our trial, which took a little longer than the normal three months in order for us compile the minimum 100 bets we require before judging a system. So how did it get on during our trial? Well we are pleased to say it has performed admirably, racking up 189 points of profit at the advised staking (which is progressive and not for the feint-hearted – but more on that later). At level staking, it also made a more-than-acceptable 116 points of profit. The system has just four rules and is fairly simple to understand and operate for anyone with even a rudimentary knowledge of betting. You should only need 10-15 mins per day to find the selections, you then place your bets and you are done. Just come back later to check your winnings (or losings). It could even be possible to programme a bot to find the selections for you, but this is certainly not necessary. The staking is a significant element of the system and if you follow the progressive staking, then you need to make sure you have a big bank – they recommend a 176 point bank – and nerves of steel! This was illustrated during our trial when at one point we had a losing run of eight selections and had to stake 34 points on the next selection – just to win back most of what we had lost! So things can quickly get out of hand and had that ninth selection lost, we would have dropped over 70 points on the losing run. For many people, enduring a losing run like this and having to stake massive amounts will simply not be palatable. But do not despair if this is you, there is level staking which will be much less heart-attack inducing, whilst at the same time not delivering quite the same returns as the progressive staking over the long run. There are also staking systems in between these two that can be used now. Ease of use: When you sign up, you receive a 24-page PDF which explains the system clearly. You then need to find the selections yourself. This takes a little bit of time to start off, but once you get the hang of it should not take longer than 15 minutes per day. Availability of prices: N/A – as there no “advised selections” as such, there is no question of advised prices either. Strike rate: The strike rate for the trial was 51%, so pretty decent and around what we would expect in the long term. Advised Betting Bank: A 176 point betting bank is advised for the service, which is one of the few instances of us seeing a sufficient bank being advised by a service! Subscription costs: For a one-off fee of £97 you get access to the system and that is it, no further payments are required. Little Acorns made a good profit of 189 points at advised staking during our trial, which is a nice total for 100 bets in just over three months. It was a rollercoaster ride at times and you have to be prepared for that if you use the progressive staking. If you like things more stress-free, then we recommend level staking – but you should also be prepared to accept lower returns with that approach. The system itself is remarkably simple but one we believe is fundamentally sound and does appear to have stood the test of time with a good few years of results behind it. Please understand that this requires patience to build a bank gradually over time and it’s not going to make you rich overnight. But then the best investment opportunities never do, because they are genuine and not just based on slick marketing. With dedication and sticking to it over the long term, we think you can do well with Little Acorns and are therefore happy to recommend it. Little Acorns is a very good betting system and well worth adding to your portfolio. Little Acorns is a low liability laying system for use on Betfair. It is a system where you must find the selections yourself, but this usually only takes a few minutes a day. We have now been running a live trial of this system for over two months and are pleased to report that it is currently 173 points up* to the recommended staking system. There has only been a one point change since our last update a couple of weeks ago, although it has been a bit of a rollercoaster ride over that period, with a run of losers followed by some winners. At level staking, we have lost 26 points since the last update, meaning we are 49 points up overall for the trial. We have just a week left in the trial so will be wrapping things up shortly on what has been a positive trial. *Update 9th March 2017: Please note there was previously an error in the results that had a losing selection at Ludlow on 25th January as +19.2 points where as it should have been -19.2 points. The results and the update above have been amended to reflect this. Little Acorns continues to perform impressively, racking up a further 36 points profit at recommended staking since our last update. That means they are now 211 points up for the trial overall. At level staking, it has been a bit slower as we have made just 5 points profit since our last update. But we are still 75 points up at level staking for the trial overall, which is pretty decent. We have less than a month left in our trial, so will be wrapping things up in not too long. It has been an excellent run for Little Acorns since our last update, with 69 points profit made at recommended staking. That brings us to 175 points up for the trial overall. At level staking things have also been good, with 59 points made since our last update, bringing us to 70 points up for the trial overall. Good stuff as we approach the final month of the trial. Things have picked up for Little Acorns since our last update, with 61 points of profit being added at recommended staking. That means they are now 106 points up overall for the trial. At level staking things have been a little slower, with 13 points lost since our last update, taking us to 11 points up overall. As we have mentioned before, it depends on what time you make the selections, so you results may differ slightly from ours. At recommended staking, things can get a little hairy as we did get up to 80 points per bet at one point. But that is the nature of progressive staking – you need to have the stomach to place some pretty hefty bets if you have a few losers in a row. If you are comfortable with that, then this system should be fine for you. It has been a bad week for Little Acorns, with 36 points lost at advised staking. That puts a bit of a dent in the total profits to date, taking them down to 45 points up overall. Using level staking, the loss on the week was 27 points taking total profits for the trial so far to 24 points. There were only three bets this week, all of which lost. We are now having to ramp up the staking using the Fibonacci staking plan, so hopefully we will have a winner before the staking goes crazy! More profits to report for Little Acorns since our last update. They have made an additional 25 points profit over the last week, bringing them to 81 points up overall for the trial at advised staking. At level staking, they are now 50 points up after adding another 5 points of profit. Little Acorns is an award-winning low liability laying system for horse racing that recommends using a ratcheting (Fibonacci) staking system. For this trial, we are recording results using both the recommended Fibonacci staking system and level stakes, for the purposes of comparison. We are pleased to report that results so far have been very good, with the recommended staking bringing 56 points of profit and level stakes bringing 45 points of profit. We can’t record the actual selections on the spreadsheet as it would become obvious what the system is, so we have just noted down the track and the result. There are quite a small number of selections, with often just one bet per day and some days even with none. The selections have to be found manually, which can take a bit of time (e.g. 15-20 minutes per day). So far so good for Little Acorns, let’s hope for more of the same over the rest of the trial. “Mighty oaks from little acorns grow” so goes the saying. That is the theory behind the latest betting system we are testing here at Honest Betting Reviews – called Little Acorns. It is a low-liability laying system for the horses that aims to build your bank up gradually and slowly until it become very big – much like a mighty oak. The idea is to grow your bank just 10% each month. And if you can do that, then you would turn £1,000 into £3,138.39 in just 12 months – and a staggering £30,911.80 in 36 months. So as you may have gathered, it relies on compound investing to build up that kind of profit. The results on the sales page show some remarkable monthly profits, with an astonishing 955 points profit going right back to 2009. That is one of the best profit totals we have ever seen. The system has won numerous awards as well, so clearly has it fans and is very popular. Laying horses is not an easy way to make money – indeed if you look at our list of winning systems, there is only one laying system in there (Cudworth’s Racing Lays). However, just because it is unusual does not mean it does not work very effectively. And if our results can match those on the sales page and our bank grows in the way they suggest, then we may have found something very special here. We have to say we are intrigued by this system as it offers a very different approach to betting to those we have reviewed so far. Only time will tell under our trial conditions to see if things turn out as hoped though. So without further ado we will kick off a live trial today and will report back soon on how things are going. In the meantime, you can check out Little Acorns here. Continuing our series of updating past reviews of tipsters and betting systems, today we are taking a look at the Flat Racing Master. This is a horse racing tipster from the Betting Gods stable which does exactly what it says on the tin – bets on flat racing! We originally did a review back in 2016, which ran from March until June. During that review, the Master racked up a very impressive 50 points of profit at a return on investment of 10%. We have now been proofing the tips for a full year, so an excellent time for an update. So how how has the Flat Racing Master done since our original review ended? We are delighted to say that he has done extremely well! Since our review finished, the Flat Racing Master has added a further 215 points profit. That has meant the long term return on investment has moved up significantly to over 25%, which is an amazingly high level to achieve over an extended period of 15 months. The strike rate is solid too at 26%, with the longest losing run at 20 bets. Overall since starting up, the Flat Racing Master has made an average of £365 profit per month to £10 stakes. The only negative to report is a bit of a drawdown at the start of this year, when around 50 points were lost. That would be tough to take for members who signed up at the turn of the year, but on a more positive note, he has staged something of a recovery, regaining 20 of those points so far. In a year of proofing his tips, the Flat Racing Master has made a very impressive 265 points of profit. That would mean £2,650 profit at just £10 stakes or £6,625 at £25 stakes. These are very impressive figures, which when added to the 25% return on investment put the Flat Master up there with the best in the business. So we have no hesitation in maintaining our RECOMMENDED rating for the Flat Racing Master and upgrading the star rating from four to four and a half stars. And the really good news is you can get a 30 day trial of the Flat Racing Master for just £1 here. Flat Racing Master is, as you have probably worked out, a horse racing tipster who specialises in flat racing. Coming into our trial they had amassed over 300 points profit, a very decent total over the space of just four months. Well for once we are pleased to say that the pre-trial promise has been fulfilled during the trial itself, with another 50 points of profit added at advised prices and 58 points profit at Betfair SP. As you can see from the profit graph below, after a little bit of a slow start, things got going nicely and continued steadily upwards until the end of the trial. Although it has only been around a short time (around 7 months), we are very impressed with the results of Flat Racing Master so far and happy to give it a recommended rating. Ease of use: It is a straightforward service to use, with around 2-3 bets per day and selections normally sent the evening before racing. Availability of prices: Prices are generally obtainable, although they do move in by the time of racing, so you certainly want to get your bets on in the evening if you can. However, it is good to see that the Betfair SP results actually beat the advised prices (albeit with one big price at BSP that slightly skewed the results). Strike rate: The strike rate for the trial was 23%, which is fairly reasonable for a horse racing service and means there will be some losing runs, but hopefully nothing too extreme. Advised Betting Bank: No betting bank was advised, but we used a 100 point bank for the trial given the long term strike rate of 27%. We have come to expect high standards from Betting Gods tipsters and the Flat Racing Master has certainly not disappointed. A solid 50 points profit for the trial comes on top of over 300 points profit prior to the trial, which is impressive stuff in just over seven months of tipping. It is refreshing to see that the Betfair SP results actually beat the advised price results, although it should be borne in mind that there was one big priced Betfair SP at over 40 that slightly pushed up results. However, there is lots to like about the Flat Racing Master and we are happy to give this a recommend rating. We will continue to monitor things and hopefully the results will carry on in the same fashion over the long term. You can get a 30 day trial of the Flat Racing Master for just £1 by clicking here. The Flat Racing Master has made some positive progress since our last update, notching a nice 27 points profit over the last three weeks. That means they are now 15 points in profit for the trial overall at advised prices and 2 points in profit at Betfair SP. With the flat season getting going now and the form starting to be established, hopefully things can really take off for the Master and we will see a return to the form shown prior to our trial, when they amassed over 800 points profit. It has been a case of treading water for the Flat Racing Master since our last update a couple of weeks ago. They are still 12 points down at advised prices, so no difference there, with a small improvement at Betfair SP of 4 points to stand at 13 points down. To be fair, this time of year is notoriously difficult for horse racing betting as the season switches from the jumps to the flat, so once things settle down we should see an improvement from them hopefully. Back soon with more update. It has been a little bit of a slow start to our trial of the Flat Racing Master, who is 12 points down so far to advised prices and 17 points down at Betfair SP. It is still very early days though as we are only about three weeks into the trial, so far too early to make any judgments. Hopefully things will pick up and we will start achieving the £800 profit per month that was being achieved prior to our trial. We have had a number of good results with Betting Gods tipsters to date. Most notably with Master Racing Tipster, Value Racing Tips and Tom Nelson Racing, services that performed well during our reviews and have continued to rack up the profits after our reviews ended. So we are pleased to be starting a new trial of what looks like another very promising Betting Gods tipster. This one is called Flat Racing Master and so far has amassed an amazing £839 profit per month to just £10 stakes. The strike rate is high at 31% which is reassuring and should mean we are not just talking about a tipster who has a couple of big priced winners to inflate the results. The return on investment is also an astonishing 50% – although we would be surprised if that is maintained in the long run as it is very difficult to maintain such a high level. With the flat season very shortly about to get under way, it seems like perfect timing to begin a trial of a flat specialist. We will run our normal three month trial and see how the Flat Racing Master gets on. Back soon with our first update. In the meantime you can check out Flat Racing Master here. Here at Honest Betting Reviews, we don’t like to just review a service for three months and then forget about it. No, we like to keep monitoring services to see if they continue meriting the original rating we gave them. So in that spirit, today we are updating a service we have been following for close to 20 months – the Racing Consultants. This is a horse racing tipping service with tips provided by two industry experts, Rory Delargy and David Massey. They originally gained an approved rating from us, notching up a very impressive 135 points of profit during the three month trial back in 2015. It has been something of a rollercoaster ride since then though, with good profits made in the remainder of 2015 following our trial, but then a tough 2016, with a loss of 17 points made on the year. Thankfully 2017 has started off more positively, with 60 points of profit having been made to date. Overall then since we have been following them, the Racing Consultants have made 255 points profit, which is a decent total. So if you had been following them right from the start, you would have done very well. However, we can only speak of how they have done from when we started monitoring the tips, so what is our feeling now after 20 months? We believe that having made profits of over 250 points since we started following them, the Racing Consultants are still deserving of a recommended rating. We recognise however that many people will have found the going very tough during 2016 and to have made a loss over the course of a whole year is disappointing. The majority of punters will have deserted them during 2016, which is understandable given that you would have to pay subscription fees on top of having lost money. So we are downgrading them from 4.5 stars to 3.5 stars to take the rocky year of 2016 into account. We will continue monitoring things and hopefully results will continue in the positive fashion they have started in 2017. Normally when we hear the words “industry insiders” we make sure our wallets are firmly closed and head for the exit as quickly as possible. It is usually the fastest way to the poor house to follow so-called “experts” who claim to have some kind of inside knowledge that will make you untold riches. The vast majority of the time it is either lies – they don’t have any special insights – or the info they do have is worse than useless. So we have been pleasantly surprised by the achievements of two well-known racing industry professionals, Rory Delargy and David Massey, during our trial of their Racing Consultants service. Rory commentates on William Hill Radio and Timeform Radio and is also an Irish Field Naps Correspondent. David Massey – aka “Chutney Dave” – is also a commentator on William Hill Radio and works for Bet Racing Nation. To be fair, their “industry insiders” tag is more to do with the fact that they work in the business and so living and breathing it every day has given them a great depth of knowledge, rather than being given any mysterious “inside info” about horses supposedly due to run well. The hard work they put in has clearly paid off as they amassed a superb 135 points profit during our trial at advised prices and 129 points profit at Betfair SP. As you can see, a very dramatic jump occurred around half way through the trial, when they landed an audacious 66/1 double – whilst backing the selections as singles as well. That gave the results a boost of about 80 points in one fell swoop. Even taking that out of the equation though, they still made over 50 points profit from all their other selections, which is none too shabby. You will note the very close totals there between advised prices and Betfair SP, which is very encouraging. So you should be able to just about match the published results just using Betfair. You can view a full reasoning behind the tips each day via the website and it is reassuring to see the amount of work that has gone in to producing the selections. Looking at their performance overall, they have made just under 400 points profit since the service started in June 2014. That equates to 25 points profit per month. Now we haven’t officially proofed the previous results prior to our three month trial, but we have been subscribers to the service since late 2014 so can testify that the published results are accurate. They have shown a decent level of consistency too, with 12 out of 16 months being winning months. So a definite pass rating for the Racing Consultants. Let’s have a look now at how the service breaks down. Ease of use: OK – there are on average 3.4 bets per day, so a bit of time is needed each day to put the bets on. Availability of prices: OK – tips are normally sent out in the morning, with best bookies prices quoted. Some of those prices do get pushed in initially. But with the Betfair SP results nearly equaling the advised prices, that should not be a problem. Strike rate: The strike rate for the trial might be a little low for some people’s tastes at 15%. That means there are some losing runs to cope with and patience is required if you want to follow this service. Advised Betting Bank: The advised betting bank is 100 points which we think is just about OK. There have been a couple of 40-odd point drawdowns over the lifetime of the service, so if you wanted to be on the safe side we think a 150 point bank would be advisable. Subscription costs: The subscription costs are very fair considering the quality of results they have achieved, at £39.99 per month or £199 per year. Overall we have been very impressed with the results achieved by the Racing Consultants. We were perhaps a little lucky to hit them at their best time, with a double that added 80 points to the bank landed during our trial. At the same time though, they do advise quite a few of these special bets, a number of which have been close, so were maybe due one coming in for them. Even leaving that aside however, they still made over 50 points profit during the trial. And the fact that the Betfair SP results almost matched the advised price results means you should be able to achieve close to the published results – which is not something you can say about every service we review here. So in summary we are delighted to find some “industry insiders” who actually know what they are doing for once and put in genuine hard work to achieve great results for their subscribers. You can check out the Racing Consultants here. The Racing Consultants continue in excellent form, adding another another 25 points of profit at advised prices and 22 points at Betfair SP. The highlight of recent results was Go Far at Ayr on 18th September which was tipped at 25/1 and won at a Betfair SP of 28. This has been superb stuff during our trial and with under two weeks to go we can only think a passed rating awaits them. We will return soon with our trial conclusion and final verdict, but in the meantime you can check out the Racing Consultants here. The Racing Consultants have been in fantastic form since our last update, producing a superb 88 points of profit at advised prices and 96 points profit at Betfair SP. Their results were helped greatly by a magnificent double a couple of weeks ago at Catterick, where they firstly landed Di’s Gift at 5/1 and then followed it up with Llewellyn at 10/1 an hour later. They backed not only the singles but also a double at 66/1 to give 78 points profit on the day. Awesome stuff! That now means they have more than doubled the bank since the beginning of our trial two months ago. Highly commendable work from the lads. We have just under a month to go on this one, but barring some kind of dramatic collapse a la the Australian batting line-up, this one looks headed for the winning systems list. We will be back soon with further updates. In the meantime you can check out the Racing Consultants here. The turnaround at the Racing Consultants continues, as they have notched another 33 points of profit since our last update ten days ago.